This summer, we, the Otaku Reviewers have went to Animazement 2012. 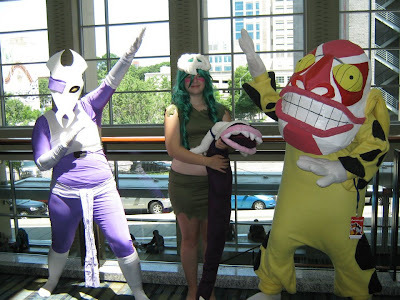 Animazement is a convention held every year in Raleigh, North Carolina at the end of May. This is their 15th year running. They're a small convention but they have what it takes to be pretty cool! This was also the first convention that the Otaku Reviewers weighed in on! Last time we went as far as to tell you guys that we spent 9 hours on a sweaty bus ride through the night, didn't we? Well this time Chansu himself drove 9 hours straight through the night to get there. Chansu is a man that loves his anime! By the time we got to Animazement, there was a long line for those who haven't preregistered, which included us. As you can see there are already lots of anime cosplayers on that really long line! This year we got to see Kotoko in concert! Kotoko made and sung songs for anime like Accel World and Shakugan no Shana. Deretsun will tell you more about our concert experience so stay tuned! 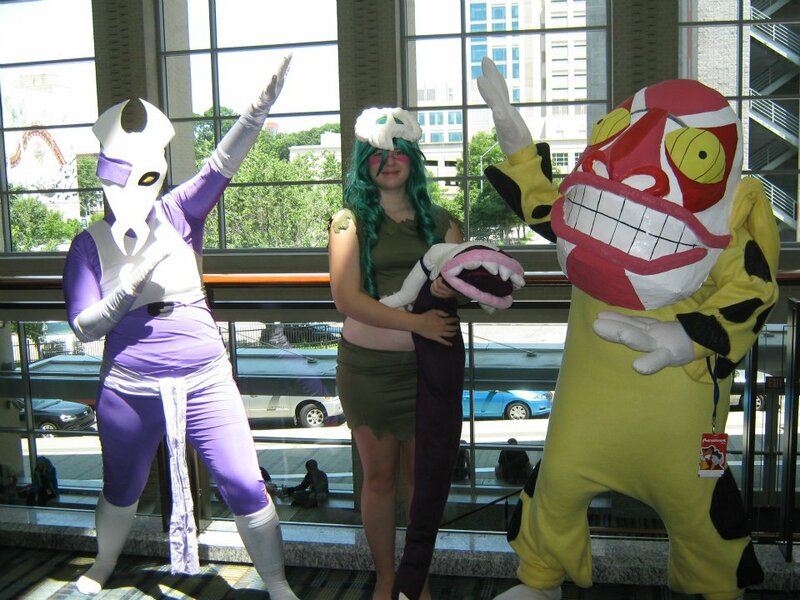 Stay tuned to OtakuView for pictures of great cosplay from Animazement 2012! Here's a cosplay favorite from Animazement 2012!